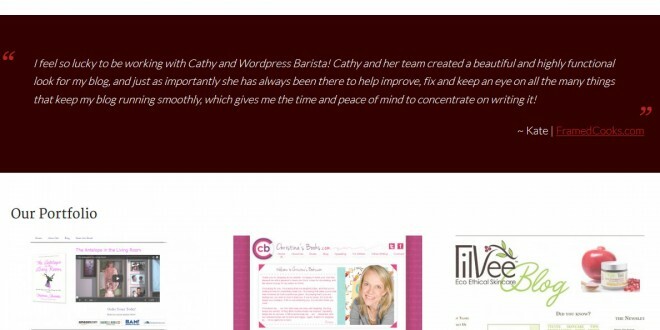 Summary : Genesis can be highly customized if you hire professionals like Cathy Tibbles DBA WordPress Barista. WordPress is one of the most versatile content management system out there. One of the major benefits of WordPress is it’s balanced and easy to work with platform. Oh, and it’s FREE. Now, I’ve seen tons of WordPress based websites and there are a few well know frameworks for WP. One of them is Genesis. Genesis can be highly customized if you hire professionals like Cathy Tibbles DBA WordPress Barista. They provide a complete Genesis template and customization for only $550! That’s awesome. Their website features a portfolio, information and free tips as well.